I’ve been struggling with specific “worship” resources this week because, as Justin taught, worship encompasses many of the Disciplines we’ve already covered. So today you’ll be linked to several albums that have launched my heart into worship of God. Music that holds God up high, placing him where he should be so that our worship flows directly from him in all his majesty. Stephen Miller // Behold - I was browsing Instagram this week and a respected pastor I follow posted great things about Stephen Miller’s new album so I checked it out. Each song contains such wonderful lyrics in direct worship to God that I had to place this at number 1. I don’t often listen to worship music, but this one is definitely worth checking out. Beautiful Eulogy // Worthy - I mean, the title of Beautiful Eulogy’s new album says it all. I’m not great at genres, but this chill hip hop-esque album will cause deep reflection in your heart, stirring it toward vertical worship of God. It’s also free to download, or pay to support their efforts. Shai Linne // The Attributes of God - In a similar vein as Beautiful Eulogy, Shai Linne offers a lyrical examination of the attributes of God, who God is and what that means. I can’t think of anything better to focus on for worshiping God than on him and who he is. So check this album out. We also still have some copies available of Shai Linne’s new album Still Jesus available at church for you to have as well. The Saving // Sinners in the Hands of an Angry God - This one is for any metalheads like me. The Saving is a solo project by some guy in Florida, but his music and lyrics are so powerful. Each album focuses on a topic or concept and runs with it. This is his most recent release and it focuses on our relationship to God and is based on that famous sermon by Jonathan Edwards of the same name. I’d love to hear from you what things help you focus on God in worship! Let us know in the comments if you have anything to add. Well, new year, new series and we’re already through week 1! Throughout our Spiritual Disciplines series, we want to provide you with additional resources to help you as you apply the Spiritual Disciplines to your own lives throughout the week. Streetlights is a fantastic app that gives you high quality Scripture readings with relaxing ambient music in the background. Readers include many spoken word/hip hop artists, including members of Beautiful Eulogy, a band we hold dear to our hearts at Missio Dei. I recommend this to you for this reason: You’ve been charged with reading the whole book of Titus every day of this series. We’re not against getting creative here at MD, so use your time wisely. Some people need to sit at a desk with their Bible and journal open as they read, others might be helped by this audio Bible. It’s completely free so give it a try. Additionally, we encouraged you to highlight certain verses that interest you and dedicate yourselves to memorizing them. Biblememory.com is a fantastic tool for you to utilize memorization techniques and couple that with the Word of God. They have a free app to use with multiple Bible versions available to use for a little bit of cash. That’s all for this week! We hope to continue updating these spaces with resources for you each week! This past Sunday, Justin spoke on legalism and Acts 11. This morning I wanted to know some of the method behind the madness and took a peek at the Sermon Notes from this lesson and found some gems that would be helpful for me to share with you. If you haven't listened to the sermon, you can listen to it below. I'll then leave the quotes with no further comment. Please listen to the sermon for further edification and clarification regarding context! Ever since High School, I've made a habit of devouring as much content as time has allowed me. Over the years, I've run into some pretty great podcasts that I thought would benefit our body if I shared them out for you guys. These podcasts are all different lengths, so no matter how much (or how little) time you have, you should be able to squeeze some good content into that summer brain. RC Sproul's parachurch ministry, Ligonier Ministries, puts out a podcast geared towards getting church history into the hands of the modern church. Many reformed leaders would argue that if you're not learning from dead people, you're doing something wrong. 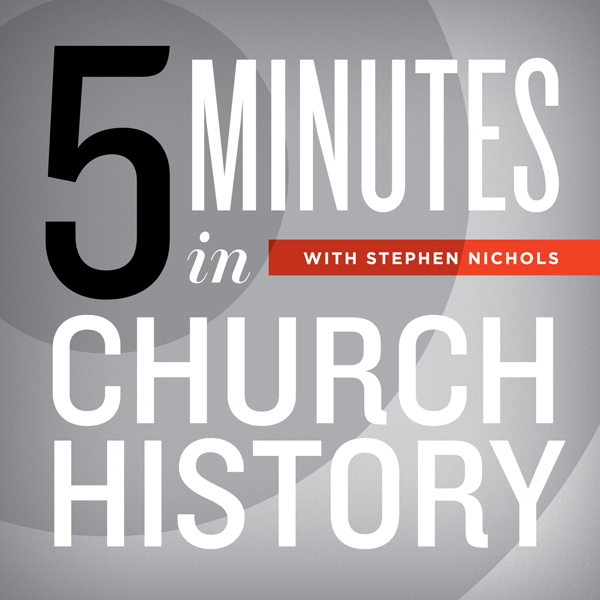 In this podcast, Stephen Nichols briefly covers a range of topics from creeds, to laymen, to church history icons in just 5 minutes. Great if you only have a short commute to work, or take a while to brush your teeth. If you've been hanging around for the past year or so, you may have heard one of the MDers talk about William Lane Craig. He's a giant in Christian Apologetics and philosophy. Not only that, but he also has a podcast for us to listen to! Every Monday, Craig and his Co-host discuss varying topics centering around apologetics and theology. If you listen for a couple weeks, you'll probably gain some valuable insight applicable to questions about Christianity you may have had for your entire life. A great gem. Probably my favorite recent discovery is put out by Albert Mohler every morning. This 20 minute program goes through headlines from various news outlets and picks apart the worldview issues associated with them. This is an absolute goldmine for all Christians everywhere. I highly recommend this one. Every morning Batman comes home from working the streets of Gotham and starts producing the Calvinist Batman podcast. This is a weekly podcast where Calvinist Batman gathers some big (and some small) reformed names and chats on a range of topics. I just recently started listening and already I've gained some valuable knowledge and different perspectives. Also, Batman. To wrap up, we come to James White's twice-a-week radio show/live stream/podcast, The Dividing Line. Dr. White is unashamed of the Gospel, and does not back down when pressure from cultural norms come storming our way. A master of exegesis, it's important to glean some fantastic snippets from Dr. White.